I have had wonderful experiences hearing Bruckner, but I really can’t stomach what Karajan does to him. I was lukewarm about Bruckner until I heard This guy with this orchestra. I was lukewarm about Bruckner until I heard this guy conduct this piece with this orchestra. This is a very funny post–I go through the same mental process about Philip Glass. (I hate Glass! But have I given him a fair shot? I don’t care, I hate Philip Glass! That sort of thing.) When I think of Bruckner, the word that comes to mind is bombast, though I’ve not listened enough to be fair to him either. Now, Fauré, that’s another matter. I haven’t listened to a lot of his work, either, but I’m always happy when I do. Most recently, I heard a string quartet of his at the Met Museum. Heaven, right here on earth. Try listening to “Company” for string quartet, Sue. It might temper your hatred a bit. 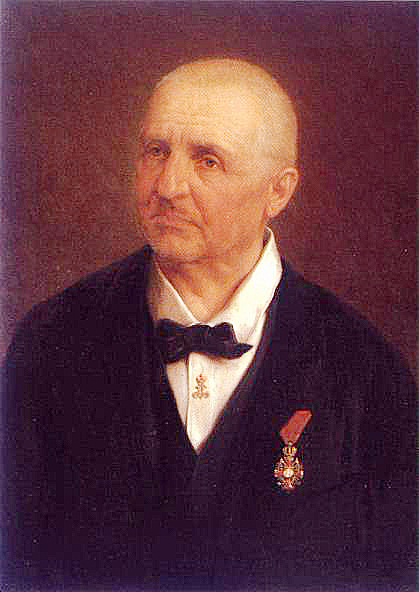 Bruckner is one of the greatest of composers. He is probably the greatest composer of religious music in the 19th century. Just listen to his E-minor mass, just scored for chorus and wind. Or try the glorious motets, each around 4 minutes long. (You will find plenty on youtube, so you don’t need spend any money).If you want a really beautiful symphony, try his seventh. Some of the most beautiful melodies ever written. For starters, try the second (moderato) theme of the adagio. After this you may want to get back to me. You have a great blog, and this piece was no exception! I was wondering your thought on Grout’s “History of Western Music”, as I was looking to start a somewhat similar process to the one you mentioned in this article, of reading through it chapter by chapter. Do you think it is a good historical text on music? Again, great blog (I found your blog from your posts on Violinist.com), and very captivating writing! If you are highly motivated and disciplined, and enjoy hard slogs, then yes, it’s good. If you want to start on Bach or later, there have got to be better texts (although I’m not sure what those might be). Grout starts very early and spends a lot of time in the pre-Bach era. What I’ve found to be helpful…although I’ve fallen off the music history wagon lately…is to use Grout as a sort of outline, then branch off with full biographies about composers. Hope that helps. Thanks for the reply! I am fascinated with music history, and honestly I wouldn’t mind starting pre-Bach, so I’ll give Grout a try. Have you pursued becoming a music historian or musicologist (I noticed you mentioned this in a later article)? I ask because I am very interested in the field myself. I am a violinist who chose not to attend a music college, and now I am kicking myself for it! I am trying to learn as much as I can on my own time (music history, theory, etc. ), and it is a slow uphill trudge. You can email me your reply if you want, I apologize, and I don’t want to clog up your comments with my questions. Eventually I’d like to go into music history or musicology, particularly the role of women, gender, and sexuality in music history. The only problem is going to school costs $$$$$, and the only realistic traditional career to have afterward is in academia, which for a variety of reasons doesn’t appeal to me personally. So I’m considering options post-Minnesota-Orchestra lockout, which (weirdly) opened up a lot of opportunities for me. :) We’ll see. Let me know if you get into Grout! I completely sympathize with how tough it is to learn history and theory on your own. It’s a slow uphill trudge indeed. I know what you mean, school is a HUGE cost today. It has been the one factor that has been making me rethink this, constantly. Having to pay back student loans for the rest of my life just doesn’t seem like much fun. Well good luck with what you chose to do, I’m sure you’ll be great at it! I’m ordering the Grout book now, thanks for the tips!